Parents spend a considerable amount of time carefully considering who should look after their child and which early years setting they would like their child to attend. 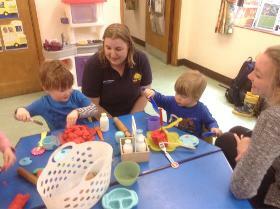 Children may join our nursery morning sessions from age 30 months. 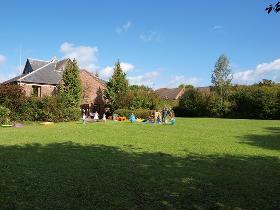 We are looking forward to welcoming your child to our nursery and building a good relationship with your family. 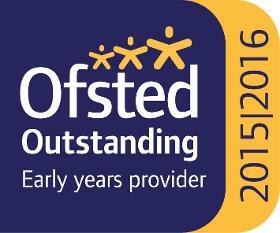 All our staff are kind and caring and here to help you and your child settle in. We do encourage you to take an active interest in your... Read more child’s learning and are more than happy to discuss any aspect of this with you. We will see you at the beginning of every session when you drop your child off but the best time to talk in detail is at the end of the nursery day once all the children have been collected. You might prefer to contact us by email or telephone too. Children start to learn about the world around them from the moment they are born. 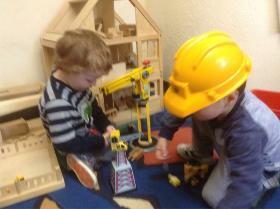 Play helps young children to learn and develop. Our aim is to make learning fun through play, activities and stories and to provide a safe and happy environment where children can experience a variety of activities both inside and outside that are appropriate for their age and stage of development. We use the Early Years Foundation Stage ‘Development Matters’ guidance to plan and provide a range of play activities which help children to make progress in each of the areas of learning and development.